Respiratory problems such as asthma, coryza, sinusitis, rhinitis, etc. are common problems that affect individuals of all ages. Children, adults and old people suffer from different kinds of respiratory diseases during one time of the life to other. Some children also suffer from asthma, and sinusitis which are hereditary and may last for a longer period of time. There is no cure for asthma or other chronic respiratory diseases in conventional remedies. There is difficulty in movement of air when a person suffers from respiratory diseases. There is inflammation of the respiratory passages that may cause difficulty in breathing. Natural remedies give excellent relief from respiratory diseases. People suffering from recurrent attacks of coryza should take this package of herbal remedies for asthma, coryza, sinusitis or chronic rhinitis to get complete rid of their problem. Cough is present in different respiratory diseases. Cough may be dry or productive. Asthma patients suffer from wheezing in the chest. They have to sit up at night to get quick flow of oxygen in lungs. There may be pain and tightness in the chest. People suffering from respiratory diseases may have discomfort feeling in the chest. 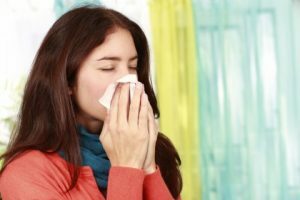 Sneezing occurs in people suffering from crazy. There is watering from eyes. Headache is also present due to stuffiness of the nose with mucus. There is lack of energy and people have low immunity who suffers from recurrent attacks of respiratory infection. Divya Swasari Ras: It is an excellent alternative treatments for asthma. People suffering from asthma should take this herb to get rid of recurrent attacks of asthma. This is a useful asthma herbal cure that boosts up your immunity against various kinds of respiratory diseases. Divya Sitopladi Churna: This is one of the best alternative treatments for asthma and chronic cough. It helps to give relief from chronic cough and continuous wheezing that occurs in asthmatic patients. It helps to eliminate the accumulated mucus from the lungs. Divya Praval Pishti: This natural asthma treatment should be take regular for the treatment of respiratory diseases. This also helps in giving relief from congestion of the chest. Divya Trikatu Churna: This is a great herbal remedy for the treatment of any kind of respiratory disease. It gives quick relief from coryza and cough. It is wonderful ayurvedic herbal remedy for all symptoms of asthma and sinusitis. 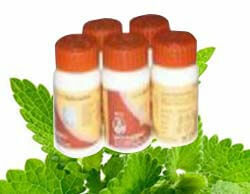 Divya Lakshmi Vilas Ras: This is recommended for the treatment of any kind of respiratory disease. It may be given for the treatment of inflammation of the bronchi and other respiratory organs. Divya Sanjivani Vati: This is one of the best known herbal remedy for the treatment of asthma, sinusitis and rhinitis. It may be taken regularly for the treatment of chronic inflammation of the respiratory tract. Put half table spoon of turmeric powder in one glass of boiling milk. Let it cool and then drink this milk. It is an excellent remedy for chronic cough and asthma. Turmeric is known as a natural immune booster. It is also used since ancient times for its anti-inflammatory properties. Therefore, people who are prone to respiratory diseases should drink turmeric with warm milk in winter’s everyday to avoid any asthmatic attacks or other respiratory tract infections. Boil five six cloves in half glass of water and also add a tea spoon of honey to the boiling water. Drink this water after cooling for some time to dissolve the mucus. This gives quick relief from chronic cough and asthmatic attacks. Take one tea spoon of ginger juice and add one tea spoon of honey to it. Add this to half cup of warm water and then drink it every day to get relief from all diseases of the respiratory diseases. Ginger also helps in boosting the immunity against viral and bacterial infections. Take a few raisins and add them to the boiling milk. Drink this milk for preventing recurrent chest infections and for boosting up the immunity. You can also get relief from respiratory infections by preparing an herbal tea. Add a tea spoon of lemon juice and a tea spoon of honey to the water. You may also add ginger to the water to prepare herbal tea. When it starts boiling, you may drink is slowly to get rid of symptoms of respiratory infections. Basil is a useful home remedy for the treatment of any kind of respiratory problem. You may prepare tea by boiling few basil leaves in the water to get immediate relief from seasonal cough and coryza. You may also prepare a decoction by adding drumstick leaves, ginger juice and lemon juice. This is an effective home remedy for preventing the attacks of any king of respiratory infection. People suffering from recurrent respiratory infections should add more citrus fruits in their diet because citrus fruits such as oranges, lemon, and amla are rich in vitamin C that helps in preventing the respiratory infections.